Muslim Cleric Maulana Khalid Rasheed Firangi Mahali, on 29 November, lashed out at Sunni Muslim leader Kanthapuram Aboobacker Musliyar over his remark that gender equality was 'against Islam' and dubbed his statement as baseless and misconceived. "Islam is actually for gender equality because if you look at the history of Islam, it has given equal rights and responsibilities to both men and women. The fact is that Islam stands with gender equality and it will be very wrong if someone says that it is against it. Women have the same status as men in Islam. In property, marriage, inheritance, women shares equal rights as of men," Mahali told ANI. LGBT activist Akkai Padmashali also expressed her concern on the issue. "I think it is completely violating the privacy and violating my dignity. We are living in 21st century; it is very saddening that it is violating our complete fundamental constitutional and international declaration of human rights. I think that the Government of India should come forefront on this," said Padmashali. 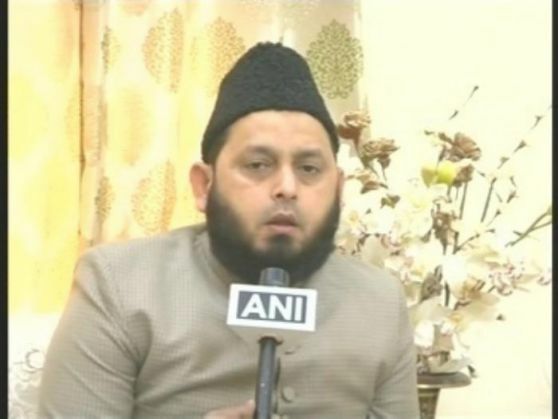 Musliyar stirred a controversy with his remark that gender equality was 'un-Islamic'. He also said that women could never be equal to men as 'they are fit only to deliver children'. He reportedly said that a woman's duty is to rear children and feed her husband. Musliyar also expressed his views on the controversy surrounding segregation of girls and boys in a Muslim-run education institute in Kerala, saying that allowing boys and girls to sit together in colleges was against Islam. Musliyar had earlier drawn the ire of women right groups after he spoke out against women reservation in local governing bodies.